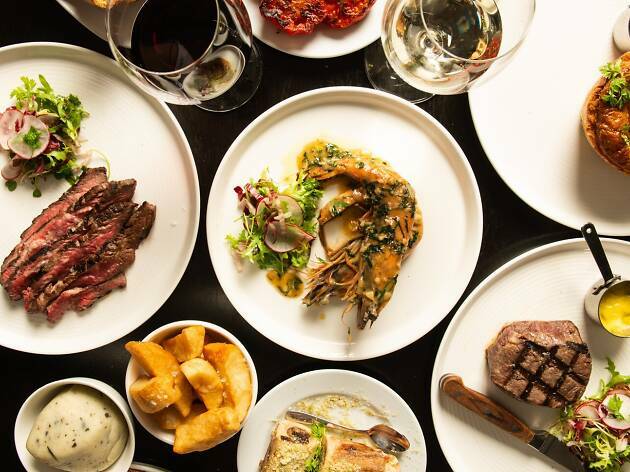 The special Easter edition of Fargo and Co’s popular bottomless brunch includes as always bottomless spritzes, mimosas, prosecco and moscato plus a brunch item of your choice. The difference is in the Easter additions to the menu: keep a lookout for Cadbury Creme Egg waffles, triple-choc ice-cream, and choc chip and cherry muesli served in a choc egg. The fun extends to the cocktail menu too. You’ll be able to get a Choc-vanilla Shot in a Choc Egg ($10) or a Cadbury Creme Egg Martini ($15). Or perhaps your pick is a Boozy Bunny: vodka, white chocolate liqueur, salted caramel, and chocolate syrup, with a Lindt bunny for $17. 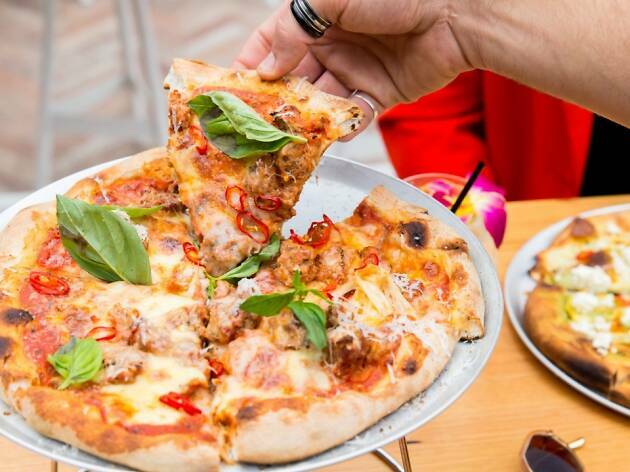 Head up to the rooftop of this King Street bar and restaurant all through the Easter long weekend for a 'Slice of Heaven' – bottomless pizza by the slice, plus a spritz on arrival, for a mere $25. The offer is available from noon to 3pm, and includes nine different pizza varieties including your favourite classics plus premium choices such as prawn and calamari or hot salami and ’nduja. They’ll also be doing surprise dessert pizzas. 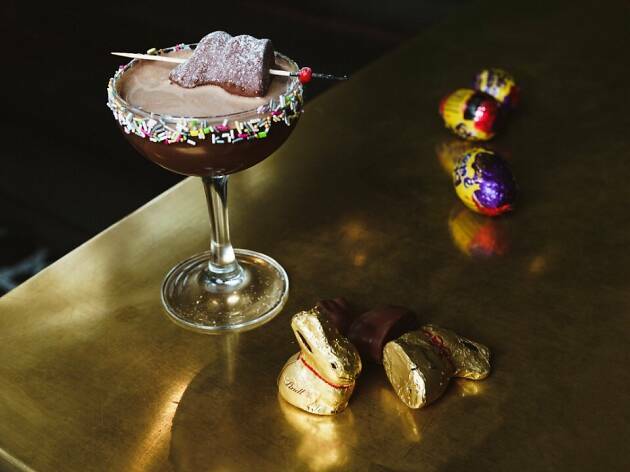 Flinders Street’s cocktail and pizza lounge is doing its Easter twist on everyone’s favourite caffeine-infused Martini to put a little bunny hop into your step. 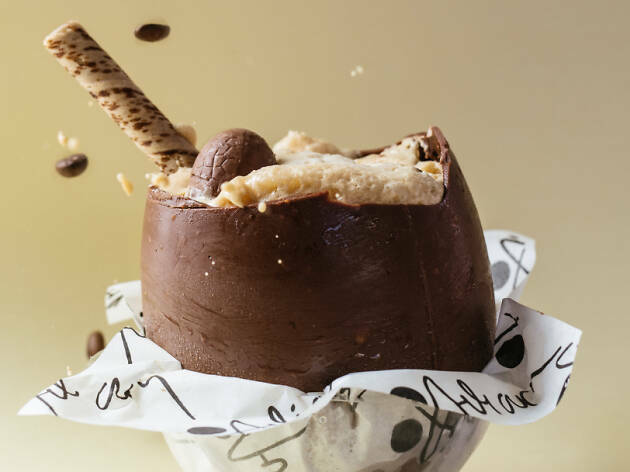 Trinket’s Eggspresso Martini (Espolon Reposado Tequila, Mr Black Cold Brew Coffee Liqueur, rose liqueur, espresso) is served up inside a decadent chocolate egg. It's available daily until Easter Sunday – hatch a plan to grab yours. The Footscray institution loved for its pub fare is doing a good old fashioned lamb roast on Easter Sunday for the hip-pocket friendly price of $29. Don’t forget to bring the kids, because at 2pm there’ll be an Easter egg hunt on the premises. The Station Hotel is doing generous chocolate dessert boards all through the Easter weekend with a selection of chocolate cake, fondant, truffle and more; price TBA. 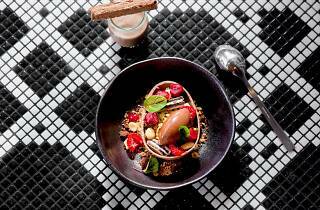 Easter Weekend at the Wharf Hotel down at Riverside brings a basketful of deals. On the eve of Good Friday it’s steak night, with $15 getting you a 200g Porterhouse steak, chips and salad. On Good Friday, get a free kids’ meal with any main meal, burger or pizza purchase. 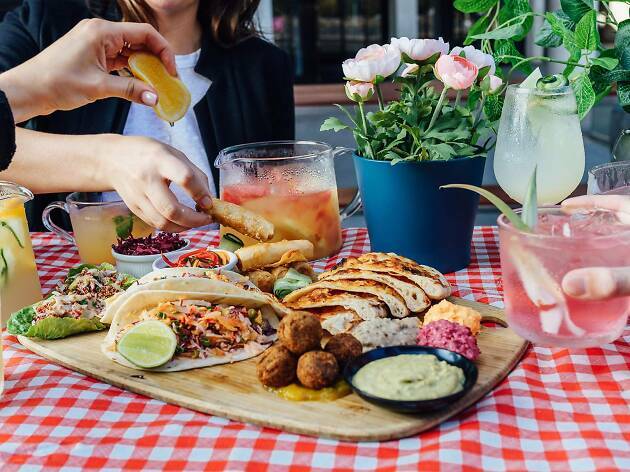 Easter Saturday sees the Guilt Free Garden Party, a $49 afternoon shindig 2-4pm that includes bottomless all-natural low-sugar cocktail jugs and a healthy grazing platter. And Thursday through to Monday there’s a three-hour happy hour 4-7pm with selected beers, wines and spirits just $6. 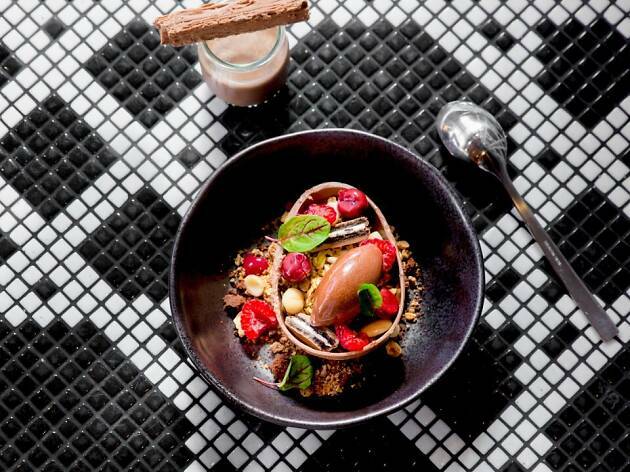 The popular corner pub in Port Melbourne will help you kick off the long, long weekend with an after-work party featuring $10 Espresso Martinis from 4-7pm and a DJ from 10pm-2am. 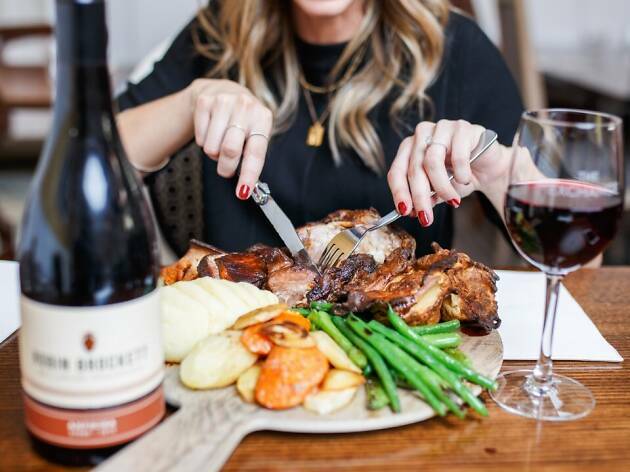 Then, on Easter Sunday, it’s a very affordable roast lunch for just $20 – lamb is the succulent protein, although a veggo option is available too – plus a kids’ Easter egg hunt at 1pm (bookings essential). 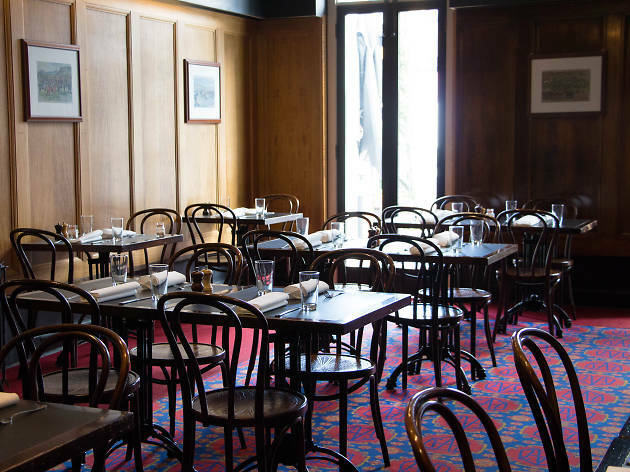 The cosy surrounds of the Middle Park Hotel are the place to be on Easter Sunday with a $30 lunch special that gets you roast lamb plus a glass of wine (vegetarian option available). Good news for parents: kids eat free when adults buy a main meal, and littlies can take part in the customary Easter egg hunt at 1pm.